Coombes Holloway Halt was the intermediate stopping point between Halesowen and Old Hill on the joint GWR/MR Halesowen Railway. Its existence was short: serving only from 1905 until 1927 with the Halesowen Railway itself closing some 30 years later. Unfortunately, I have been unable to locate an original photograph of Coombes Holloway although I am sure some do exist. 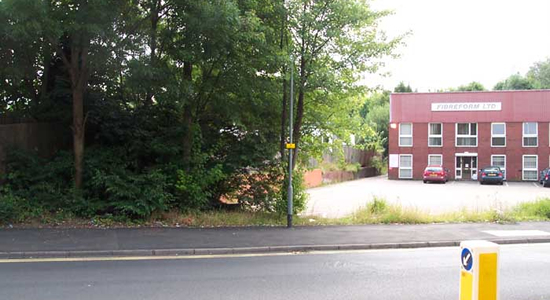 All I can offer is the above image which shows the site of the Halt and what now is a small industrial centre. If you have any more information and/or photographs of the Halt I would like to hear from you. The site of Coombes Holloway Halt can be seen above in August 2003. Above, although not particularly clear, is one of the few remaining relics of the Halesowen Railway at Coombes Holloway. The bushes cover what is the beginning of the railway embankment with the Halt site now behind the photographer. 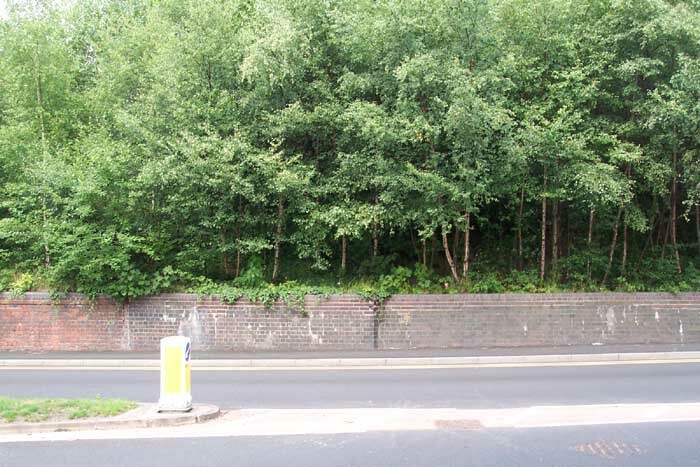 If you drive along the A459 from its junction with the A4099 towards Old Hill you can clearly see the embankment running parallel to the A459 behind the row of houses to the right-hand side.